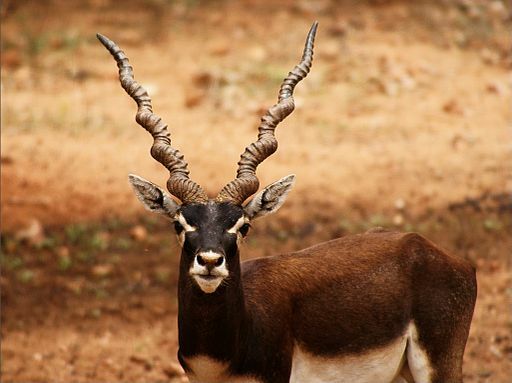 Also known as the Indian Antelope, male Blackbuck are strikingly handsome animals with long, spiralling horns marked with rings and distinctly marked faces with white patches around their eyes. Their bodies have contrasting countershading, with white underparts against their dark back and legs. Females and juveniles are much less conspicuous, fawn in colour with white underparts which resemble the widespread Impala from Africa. Blackbuck can form massive social aggregations up to several hundred, although most herds consist of 5 to 50 individuals. In the rutting season the males mark territories by rubbing stick black secretions from facial scent glands onto vegetation as well as using dung middens and urine. The rutting peak occurs in February and March, with a second peak as the monsoon ends in August and September. Due to co-evolution with cheetah as their main predator, Blackbuck are very fast and rely on speed to escape from their main predators, which are now wolves and occasionally leopards. Declared regionally extinct in Pakistan and Bangladesh, Blackbuck now mainly occur in India with a small population in Nepal. They like open habitats such as grassy plains and thinly forested areas, which allow them to spot predators from long distances as well as providing grazing forage. Although once widespread through the Indian subcontinent, today only small, scattered herds are seen in protected areas, due to habitat destruction through conversion to agricultural use. 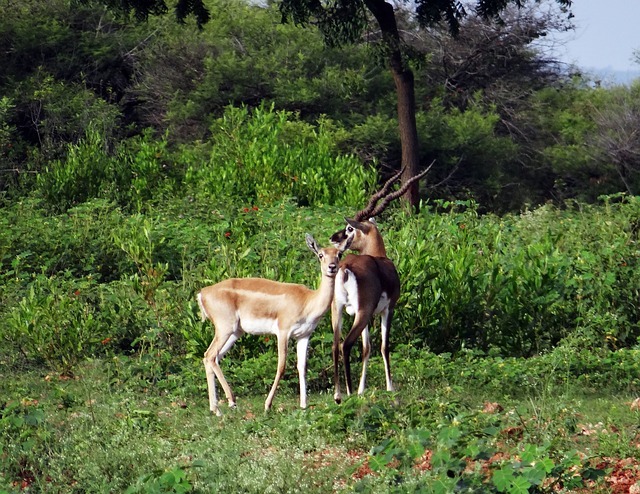 Some Blackbuck are shot illegally, particularly in areas where they co-exist with Nilgai.